Old film (8mm & 16mm) transfer to lasting DVD videos. Convert your old film reels to DVD to be enjoyed once again by the family. Let us make the old new! POLAVISION was a instant movie camera developed by Polaroid in the late 1970's. 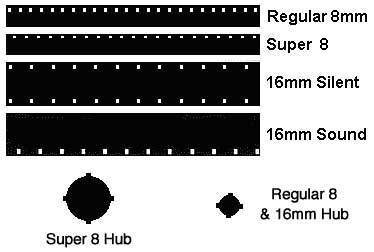 The small rectangular plastic box contained film (super 8) with a small lens and prism at the end for projection. This projection was done through a stand-alone projector/viewer that was developed by Polaroid to help reduce the dense film viewing. This film density problem plus the the timing of its' release, with BetaMax and VHS launching at that time, ended up to be a failure for Polaroid. Note that the cassette is destroyed when the film is being removed. As a result, you will no longer be able to use the POLAVISION cassettes in your POLAVISION system.